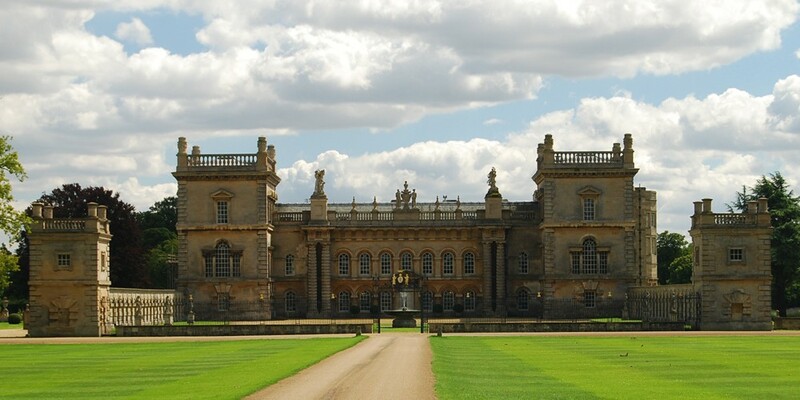 We were commissioned by the Grimsthorpe and Drummond Castle Trust to design a new set of wrought iron gates to mark the northern terminus of the 1km long North Drive that leads to the forecourt of Grimsthorpe Castle. 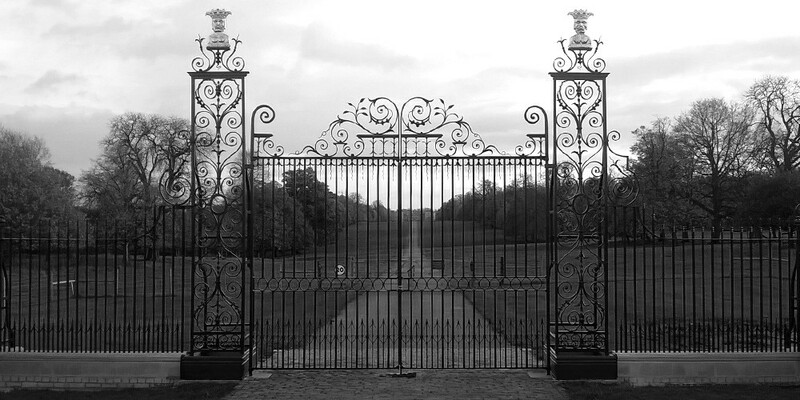 The gates had been projected in the early c18th, but do not appear to have been made. 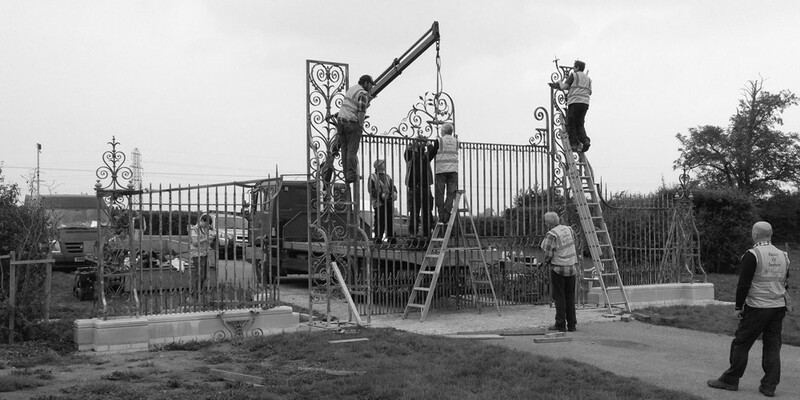 They replace a humble farm gate (c.1990). 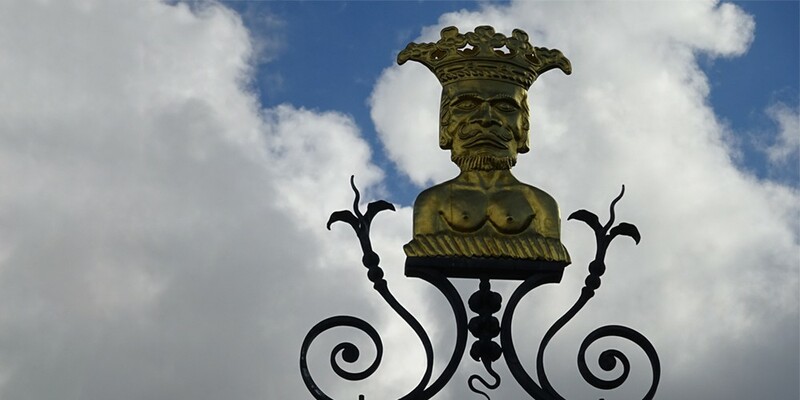 Our design has been informed by the existing c18th metalwork of the castle forecourt and the oeuvre of the French master ironworker Jean Tijou. Ridgeway Forge manufactured and installed the gates. The stonework was executed out by the estate’s stonemason Gary Tegerdine. The gates won The Georgian Group’s Award for best ‘Object in a Georgian Context’ in November 2017.